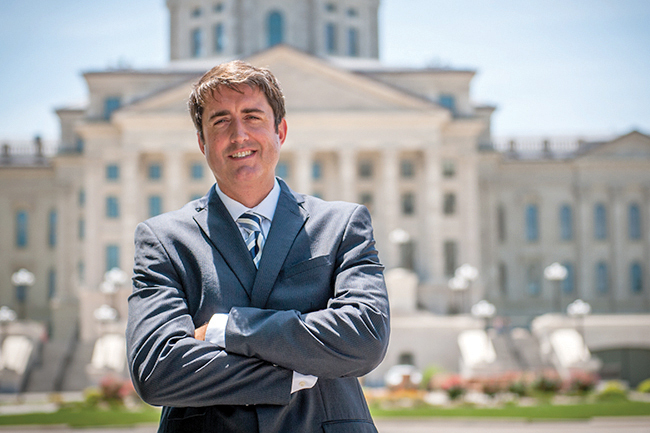 Michael Schuttloffel is the executive director of the Kansas Catholic Conference. Members of the Kansas Legislature have much to concern themselves with this year. A long-term fix to the state’s budget woes continues to elude lawmakers’ grasp. Proposals for major changes to tax and health care policy are on the table. Yet for some legislators, there is no issue more pressing than the need to kill a program that allows a small number of children from low-income families to attend the private school of their dreams. In 2014, the Legislature passed the first school choice program in the state of Kansas. Under this law, children from low-income families can receive scholarships financed entirely by private donations that they can use for tuition at private schools. Donor corporations receive a tax credit from the state, but no taxpayer dollars go to the private schools. It is telling that when taxpayers want to use Medicare or Medicaid at a private or religious hospital, nary an eyebrow is raised. But the idea of even indirect public support for private schools causes all too many politicians to run for cover. This may have something to do with the fact that public hospital interest groups are not fighting medical choice tooth and nail to the tune of millions in political campaign contributions. Kansas’ nascent tax credit scholarship program has so many limitations on it that most Kansas kids have not been able to participate. For a sense of how small the program is, consider that there are almost 500,000 public school students in Kansas, while only 188 tax credit scholarships were awarded in 2016. Donor corporations received $553,000 in tax credits, while the state spent $4 billion on K-12 public education. Yet rather than expanding the program, some very determined political activists and their allies in the Legislature are attempting to shut it down before it even gets off the ground. Everyone has to make a living, but when it’s your job to deny low-income, mostly minority kids a chance at a school that could change their life, maybe it’s time to reassess your career path. Modern times are marked by unprecedented levels of consumer choice in almost all sectors of the human endeavor. Yet when it comes to parents being able to pick the school that is best for their kids, K-12 education is stuck in a time warp. Unless you have the financial means to pay for both private school tuition and taxes for public education, your kids are supposed to go to the government-run school that the government tells them to attend, much as a century ago. Now, 188 kids have been given an alternative. A door to real choices for parents and children in Kansas has been cracked open. Unfortunately, it is in real danger of being slammed back shut.